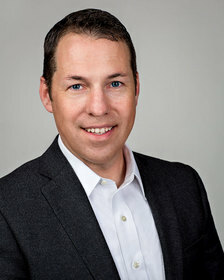 AUSTIN, TX--(Marketwired - Jan 17, 2014) - NSS Labs, Inc., the leader in test-based research and analysis of information security products, today announced the promotion of John W. Pirc to Chief Technology Officer and that Bill De Lauro has joined the company as Vice President of Operations. As Chief Technology Officer, Pirc is responsible for aligning the technology vision with the business strategy for all aspects of NSS Labs including advanced R&D, engineering and all real-time threat data analytics that are applied to NSS Labs' live testing harness and threat forecasting. Pirc joined NSS as Research Vice President in April of 2013, and is a well-known security intelligence and cybercrime expert. He is a noted speaker who has presented at leading security conferences around the world such as RSA, BlackHat, AusCert, SecTor and Security B-sides. Pirc is the co-author of two books: Blackhatonomics published in December 2012, and Cybercrime and Espionage published in February 2011. He has held strategic positions at several leading security companies such as HP, McAfee, IBM/ISS, Cisco and began his security career at the Central Intelligence Agency. Bill De Lauro joins NSS as Vice President of Operations and will lead the ongoing expansion of the NSS testing lab to add new strategic research and testing capabilities, such as breach detection, cloud and virtualization, and DDoS. 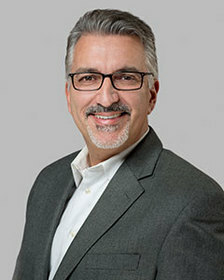 De Lauro brings over 30 years of leadership success to NSS and has extensive experience managing IT, infrastructure and technical operations in fast growth startups and companies such as Borg Warner Security, Securitas, Activant and IBM, where he consistently improved availability, reliability and margins. De Lauro also served as an active-duty Army officer for many years, achieving the rank of Major, and working in units ranging from Infantry Divisions to Nuclear Weapons Technical & Security organizations. "Both John and Bill are strong capable leaders who will be instrumental to continuing our rapid growth. Their addition enables the company to execute on its strategic vision, delivering powerful new solutions for our clients," said Vikram Phatak, CEO of NSS Labs. NSS Labs, Inc. is the world's leading information security research and advisory company. NSS is both an analyst firm specializing in security technologies and a testing laboratory widely recognized as the "go to" company for research and unbiased reporting. We deliver a unique mix of test-based research and expert analysis to provide our clients with the right information they need to make IT decisions. CIOs, CISOs, and information security professionals from many of the largest and most demanding enterprises rely on NSS. The company is located in Austin, Texas. For more information, visit www.nsslabs.com. © 2014 NSS Labs, Inc. All rights reserved. All brand, product and service names are the trademarks, registered trademarks, or service marks of their respective owners.